The Coolpix P330 represents a bunch of successful improvements for the series, and its image quality puts it in the high-end compact mix, but it's the performance which lags behind where it should be: occasionally inaccurate autofocus, slow file write times and camera lock-out all hinder what's otherwise a good compact - it's just not achieving at every level that its specified billing suggests. Good, just not quite great. Nikon's putting a lot into the Coolpix range of late. The P330 model, which updates the previous P310, isn't a gentle nudge forward in the company's "performance" range, it's a far bigger step up thanks to the P330's inclusion of a larger 1/1.7-inch sensor size - as taken from the top-spec Coolpix P7700 - and a new, longer zoom lens. See, Nikon's been playing catch-up for a while. Not in terms of market position - its got that covered - but in terms of aspirational compact cameras. It seems 2013 is the year that changes: the introduction of the Nikon Coolpix A being the company's first attempt to set that straight. The previous P310, despite all its merits, just didn't quite have what it took to keep its competitors at bay. The P330, on the other hand, looks well matched in specification terms and with its £349 price tag it undercuts much of the competition and, at least on paper, sounds like an aspirational little compact camera. With all that in mind is the P330 all its cracked up to be or are the Canon S110, Panasonic LX7 and Olympus XZ-2 models of this world still a step ahead? Despite the P330's specification progression it's still the very same size as the P310. Well, when it's switched off anyway, as the inclusion of the new 24-120mm f/1.8-5.6 equivalent lens means a slightly longer physical extension. Small is definitely the word overall, and while the Nikon is not quite as skinny as, say, the Canon PowerShot S110, it's still eminently pocketable. In general the Nikon does look a little boxy, but manages to pull off a neat and tidy kind of style. It's certainly functional, as the layout attests: there's a rear, top-mounted thumbwheel and the rear d-pad doubles up as a rotational dial - together the pair act as a mirror for that typical DSLR-type control. The d-pad itself opens access to the likes of macro, exposure compensation, flash and drive mode and there's a programmable function (Fn) button on the opposite side to the camera's front. But that's where it ends - as per the P310, the P330 doesn't have a quick access menu that displays on screen, whereas many of its competitors do. There's no touchscreen either. Instead the main Menu button on the rear is the access point to a variety of settings, but does mean plenty of scrolling up and down to tweak those specifics such as metering, autofocus type, white balance and so forth. Menu access is also rather sluggish. There seems to be a slight lag upon every press of the Menu button before display, while exiting one menu and attempting to open a second via the d-pad also introduces lag in response. It just doesn't feel lightning quick like we'd have hoped for. Much the same can be said about the P330's autofocus ability. It's not that it's slow on the whole, but it's not as pokey as some other cameras out there that we've used. But it's not that speed that would be our criticism: much like the menu lag the P330's autofocus - and, indeed, ability to capture a shot - is only active when nothing's being written to the SD card. Shoot raw and we were experiencing eight seconds of lag while the buffer cleared - not an immediate problem, and yet with the P330 it can be a nuisance as the camera is effectively out of action for the duration of this buffer clearing time. If you're not shooting raw this time is dramatically reduced - it may be little to no problem for JPEG-only shooters. The P330 puts plenty of autofocus types at your fingertips: face priority; auto area; manual for user-defined positioning (99-areas); centre normal/wide; subject tracking and target finding. But it's quality not quantity, right? Manual was our preference, but we did find this single-point system to be occasionally inaccurate. We always shoot and re-shoot in the real world to avoid focus slip-ups where possible, but some full-extension shots that claimed to be in focus were only on the money some of the time. Take this squirrel shot, for example: time was of the essence so we readily snapped four images - it would have been more if not for the shot-to-shot time delay - and found only two to be in acceptable focus. The other frames had opted for the trees behind, despite the manually placed focus point being positioned right over the target subject. The P330 also offers a manual focus option which is accessed via the macro mode on the d-pad and controls focus distance via the rotational d-pad. When in use there's an infinity-0.3m-macro-symbol measure which shows up to the right side of the screen to give an approximate focus distance guide. Manual focus assist - which zooms into the focus point to reveal the preview at 100 per cent scale - is also available, but the P330 doesn't take on board quirkier focus assist options such as the embossed-edge "peaking" feature found in an increasing number of models. We'd rather that Nikon had designed the P330 with a manual focus ring to the base of the lens, but we suppose for the sake of cost that we can't have it all. Where we found manual focus the most useful was in close-up focus. Oh boy, the P330's macro mode works a treat - it can slide subjects into focus just a mere 3cms away at its widest-angle 24mm equivalent. Autofocus can work here, but we did find the camera would have a preference to bypass close-up subjects if an easier, more distant target was available - even with macro mode specifically selected from the menu options. Another feature which is impossible to overlook is the P330's bright aperture range. At f/1.8 at the widest-angle there's plenty of scope for sumptuous, blurred-background shots. This dips down to f/5.6 when the lens is fully extended, which is to be expected at this size and cost. Still, that's well within the remit of what the Coolpix's competitors offer. Within the menus there are also some higher-spec, more-detailed options available. There's a three-setting noise-reduction control, a built-in Neutral Density (ND) filter, while the zoom lens can "remember" its position between switching the camera off and back on again. If one thing seems to lack then it's Wi-Fi, yet Nikon's enabled the P330 to work in conjunction with the WU-1a wireless adapter. Wi-Fi as optional makes sense to us as not everyone will want to use it - but the accessory will cost around £55 if you do want the additional functionality. Nikon's been bold and decreased the P330's megapixel count compared to its predecessor. This makes us want to erupt into small cheers. The dip from 16-megapixels down to 12-megapixels on a larger image sensor size makes perfect sense: those sensor-level "pixels" will be considerably larger than before and will capture more light for a cleaner signal and, therefore, improved image quality. Is that the case? In short, yes. The P330 produces better images than its predecessor, yet it's still not the class-leading option that we'd hoped for. Its use of the P7700's sensor sure does mean there are some high points, as well as the addition of NRW raw file capture. The ISO 80-3200 range is largely devoid of aggressive image noise, except for some more notable colour noise in shadow areas at the highest of ISO settings. It's from around ISO 800 where this becomes most noticeable, though grain within raw files from ISO 200 and beyond can also have some impact on quality. We do think the P330 has the edge against something like the Panasonic LX7 when it comes to high ISO image noise, despite the LX7's greater successes in the design and performance departments. ISO 80 is where shots are sharpest, but that's largely dependent on processing - yes the P330's lens is reasonably sharp, albeit less sharp than the P7700 in our view, but its rather "mute" raw files don't have anywhere nearly as much sharpening applied as their JPEG counterparts. No big problem if you want more control, yet between raw and JPEG files there's not a huge difference of gain from one to the next; it's all about that post-production control - if, say, exposure is off - that's achievable from the NRW files. One control to keep an eye on is Nikon's Active D-Lighting mode - which adjusts dynamic range by pushing shadow and mid-tones up a notch to stand up against brighter exposed areas - as this is only available up to ISO 800. If Auto ISO is selected this is where the camera will max out - irrelevant as to whether Auto 80-3200 is selected - unless the mode is switched off. All in all the P330 represents a definite step forward in the image quality department. It's still not quite the best of the bunch, but it's earning its stars among a strong range of competitors. 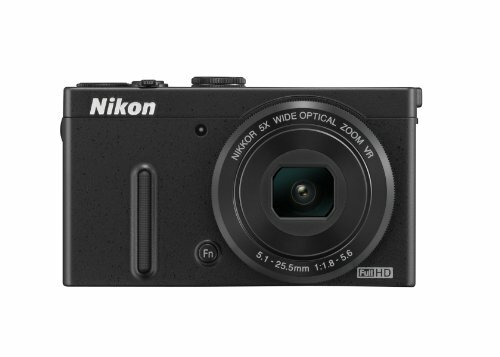 The Nikon Coolpix P330 is a definite step forward compared to its predecessor, and it throws the P-series into the high-end compact camera mix. But it's also a game of two halves. Image quality is a step up the image quality ladder, the price point is very competitive and the new 24-120mm f/1.8-5.6 equivalent zoom is versatile. But it's performance that's the camera's ultimate letdown: we found occasionally inaccurate autofocus, sluggish menu access and slow file write times - which lock the camera out from use as the buffer clears - to be real drawbacks. These shortcomings don't amount to a total failure by any means, but are holding the P330 back. Polish up those elements, add a touchscreen, quick menu and manual focus ring and we'd have a winner. As it stands we like where the P330 has steered the series, but while it steps things up it's not leaps ahead in all the departments it should be. Good for the price, but short of the greatness we'd initially anticipated.